Here are some interesting sources for operation of v6. 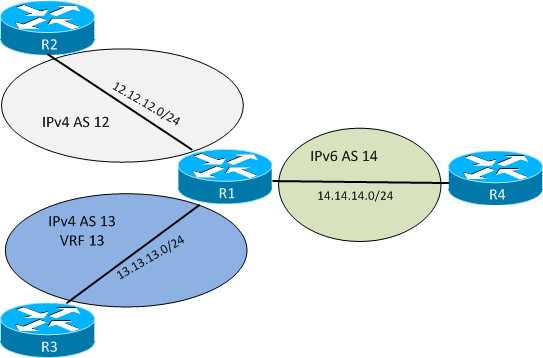 over v4 in BGP sessions? addressing plan and IPv6 myths are brought up. some interesting sessions on IPv6 from Melbourne. and considerations you should have when deploying IPv6. need to get some few basic concepts explained. If we have for example OSPF, this is how a route gets selected to the RIB(global). RIB. Then finally the RIB populates FIB with this information and forwarding can ensue. This is a picture I made that describes the process. We start out with a very basic topology looking like this. R1 and R3 will announce the same network 1.1.1.1/32. R2 will use two different OSPF processes. We see the session coming up immediately. Now lets bring up R3 as well. the picture above starting by looking at the database. We see that R1 is announcing 1.1.1.1/32 and we have a metric of 2 to it. Do we see R3 announcing that as well? Yes, it’s there. Now we take a look at the OSPF RIB. Which ones do we see there? The greater than sign indicates that the one from OSPF process 1 was selected. Yes, that looks correct. Final step is to verify that FIB is also updated. process that is currently winning. The OSPF RIB and global RIB should now be updated. winning since it installed to global RIB first. really happening. We shutdown interface in process 1. Now we bring back process 1. We can see that IOS is claiming that distance is lower which it is clearly not. Now we look at the output from the debug. mean that the OSPF process number is the tie breaker. 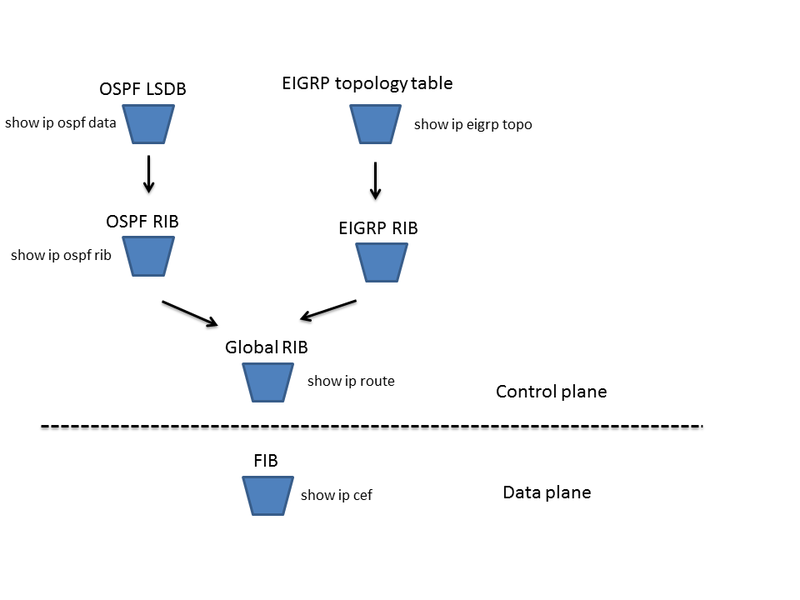 We take a look at the OSPF RIB and global RIB to verify once more. What if we change the AD of process 11? lowest AS number so maybe Cisco chose to make it comparable. read some RFCs and IETF drafts. Here are two I recommend that you read. I recommend you read both of them.